Archen in game: 2,905 Who? Important notice! Pokemon Archen is a fictional character of humans. Archen (Japanese: ?—?? Archen) is a dual-type Rock/Flying Fossil Pokémon introduced in Generation V.
Archen is extinct, but can be revived from fossils. 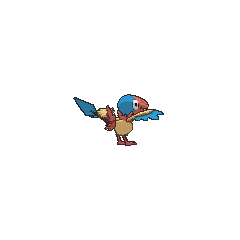 It is believed to be the ancestor of all bird Pokémon. It hunts prey as they move about the forest. In the anime, it was shown Archen does not like Pokémon food, but can grow a special plant with its cries. It enjoys the Berries grown on this plant. 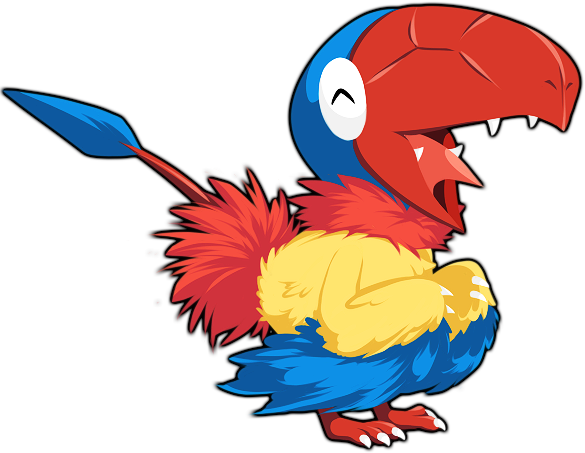 Archen debuted in Archeops In The Modern World!, when a female Archen was revived by Fennel and Professor Juniper. 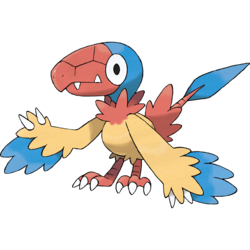 She later evolved into an Archeops in the same episode. Multiple Archen appeared in a flashback in A Restoration Confrontation! Part 1 and A Restoration Confrontation! Part 2. An Archen is seen amongst N's Pokémon friends as he awakened Zekrom. It evolved before N challenged Alder.